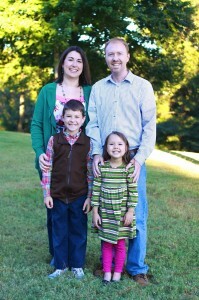 This week, we want to introduce Wes and Amanda Gunn, church planters in Wetumpka, Alabama. Where is your church plant? Our plant is in the Redland community, a growing suburb just outside Montgomery, AL. Why did you choose the place to plant? We were residents of this community for 7 years prior to our plant and have a deep love for our community and neighbors. We noticed many people in our area were not a regular part of any church or were driving long distances. What is your vision for what you are doing? We want to create a church family that glorifies God by loving its neighbors and caring for one another. What made you want to become a church planter specifically? I think the joy of reaching out to people, sharing Christ with them, the challenge of communicating effectively with people who are a long way from the Lord and are jaded towards anything spiritual; the power of a Christian community coming together to serve God and reach out to the world; the God-pressure on my heart that he wanted me to live and work in the inner city, to the point where doing anything else would have been disobedient. What tips or advice would you have for someone interested in church planting? The journey is hard, so individuals have to constantly go back to their calling from God. Without that, you are likely to throw in the towel at some point. We have found that we had to completely alter our lifestyle to make room for our neighbors and find ways to serve and love them. It isn’t just about a Sunday morning worship service, but engaging our community. If you are interested in church planting, or would like more information, please visit our website at missionalive.org.